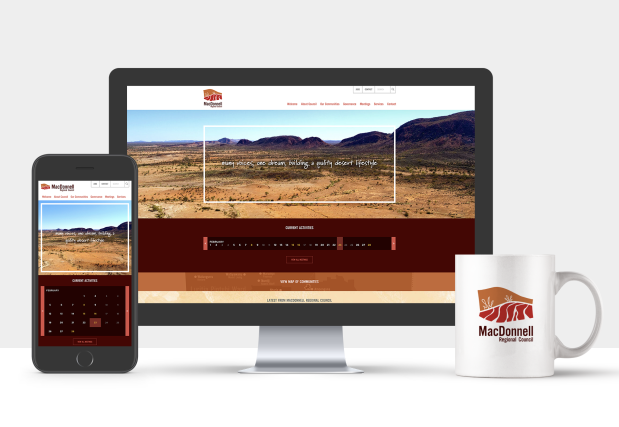 Established in 2008, MacDonnell Regional Council covers 13 major remote communities as well as many outstations and numerous established and emerging enterprises in the pastoral, tourism and mining industries. The Council recognises and respects the fact that Aboriginal culture is the oldest continuing culture in the world and that Aboriginal people have had their own forms of governance for tens of thousands of years. 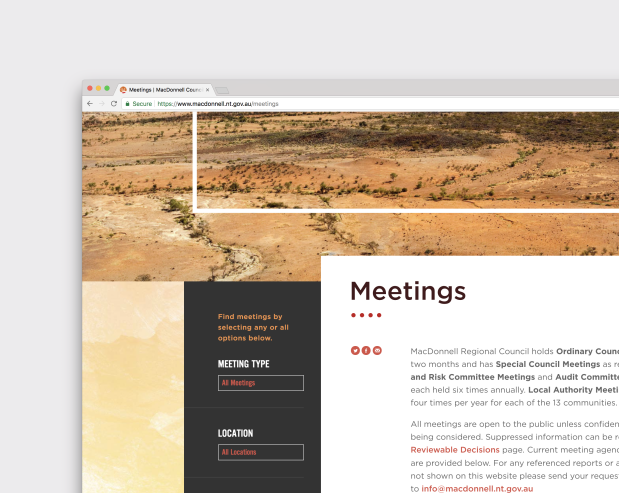 Having strong and effective Indigenous representation on the Council has provided the opportunity to discuss and develop effective two-way communication and engagement, as well as strong governance principles and practices. 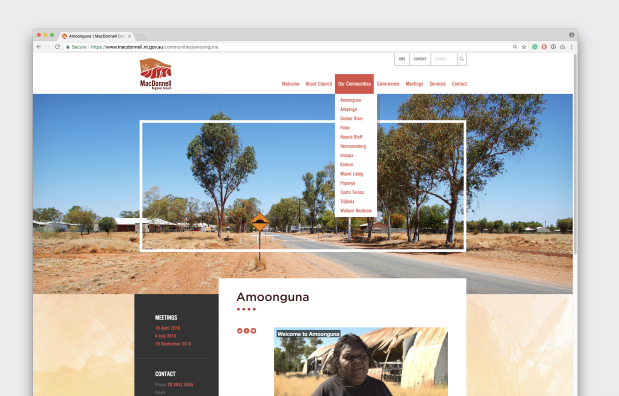 During the redesign of Macdonnell Council’s website it became apparent that as well as amply addressing the needs of the user experience, the site needed to communicate the incredible beauty and power of the regions landscape often felt by those living in, and passing through it. The resulting website is eye-catchingly engaging and well organised, logical headings allow easy navigation of the large quantities of information available.